The past isn't buried yet, but Jennifer is having a hard time letting go. 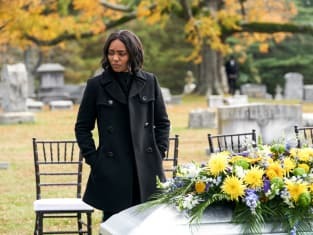 Khalil's family is putting his body to rest on Black Lightning Season 2 Episode 12. The funeral arrangements are ready, and the characters (as well as us fans) will get to say a farewell to the complex anti-hero/villain. The goodbye is hitting Jennifer the hardest. But with the end of her relationship, the burial is almost beginning the journey for her next story arc. And it's one we've been waiting now for a while. 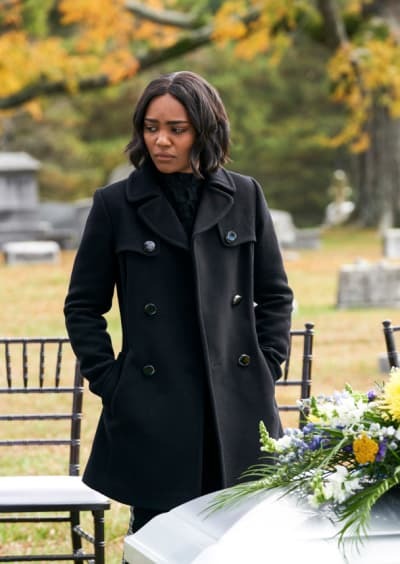 Jennifer's path throughout "Just and Unjust" balanced her need for grief while also coming to terms with the reality of the situation. 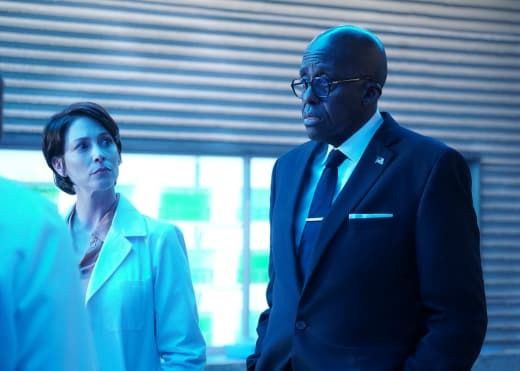 Previously during Black Lightning Season 2 Episode 5, we discussed Jefferson going through the five stages of grief after Gambi's death. He needed to process his emotions, and he moved through each stage to find acceptance that his mentor died. While it proved to be a lie, he made the journey to grow from the loss. Jennifer in this case, on the other hand, seemed to use those five stages to fuel her need for vengeance. Right from the get-go, she wanted revenge against Tobias. She made her anger known, and she would do whatever it takes to repay the debt. Plus, if other characters drop hints of another character, you take notice of those bread crumbs. The silent promise made at Khalil's casket might just be the triggering point for Jennifer's necessity in becoming Lightning. She vocalized her desire to wear a suit. But, now there is a vendetta that is driving her forward. Jennifer took Khalil's death with strength and a cool mind. Sure, there were a few electric flare-ups, like with the photo at Khalil's house. But with all things considered, she kept her powers in check. Jennifer deserves credit for her development; Perenna taught her well in managing her emotions. Though, she needs the helpful push every now and then from her family. Jennifer would've regretted not being at Khalil's funeral. The heartbreak was too strong, but not being there would be something that would tear her up inside in the future. Jefferson's words were wise and right on the money. And Principal Lowry pushed Jennifer too far on the worst day possible. Sure, Khalil attacked the school as "Painkiller," but the students and faculty wanted to pay respects to their former classmate. He needed to read the room and not let his ego cloud his judgment. Anissa's days as the rebellious vigilante "Blackbird" have finally caught up with her. She isn't as indestructible as she originally thought, and it's a life lesson that she needed to experience firsthand. Jefferson warned her that her recklessness for fighting petty criminals would put her life at risk. And this time around, she pushed herself a little too far. With great power comes great responsibility. You have to make smart choices with what you do with your abilities. Anissa, in particular, wasn't abiding by this credo; her actions were fueled by emotion and vengeance. Anissa: I’ve done all the things ... all the things Dad said would get me killed. Gambi: You want to do good, I get it. But you have to think of how much bad you’d do for your family if you lost your life. Gambi: And what a waste it would be if you lost your life before you were able to build it. Permalink: I’ve done all the things ... all the things Dad said would get me killed. Her heart was in the right place by helping Monique; she wanted to save someone from a bad situation. And her efforts did work; we can't argue with that. Monique did leave her criminal boyfriend to start a new life. Plus, Anissa's actions as Blackbird did help the community financially and heroically by stopping criminals. 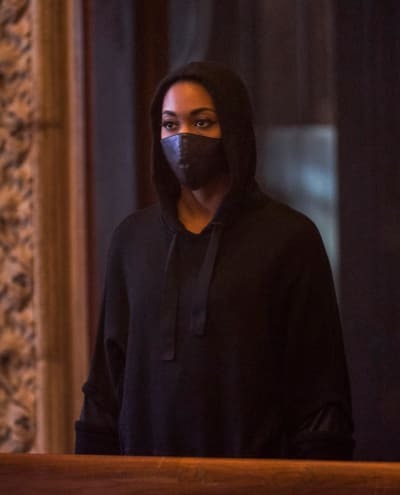 On the other hand, her life was put at risk two times during Black Lightning Season 2 Episode 12 alone. If she had made a misstep or didn't hold her breath at the right moment, she could've died. Hopefully, Anissa uses this traumatic encounter to reevaluate her life and change her stance. Being a superhero as Thunder helps people, but there has to be more strategic thought placed into which battles she goes into. Anissa and Grace can never have a joyous moment together for too long. Something seems to always come up to drive a wedge into their relationship ..., and that is so frustrating! Grace should've told Anissa about whatever strange affliction is haunting her. The pair admitted their love for each other, and they were living in bliss. Plus, Anissa was ready for Grace to meet her family. That's a HUGE step in their relationship, especially after they were casual for so long. If there were ever a moment where she could've told Anissa the truth, this would've been the time. Running away will only create more tension. Grace: Anissa, when I’m with you, I can’t control myself. Anissa: I know, and it’s amazing. Grace: No, you don’t understand. Anissa: Then explain it to me. I’m here listening. Grace: I have to go! Anissa: Did I say something wrong? Grace! What did I do?! Permalink: Anissa, when I’m with you, I can’t control myself. Speaking of tension, I was worried for a hot minute that Lynn and Jefferson were on the path to potential splitsville with their latest argument. Don't get me wrong, their frustration wasn't a big fight or a powerful argument, but it's the comments made under the breath that you need to watch out for. Lynn had some shady resentment toward Jefferson over their bumpy metahuman life together. The best thing they did as a couple was to address their issues head-on. Jefferson didn't let Lynn fester on her discontent, and Lynn didn't internalize her frustrations. This openness showed the growth they achieved since Black Lightning Season 1. Even with the metahuman hurdles between them, they're willing to work together as a couple. Jefferson and Lynn should never separate. They're great together, and they need to make it work as a couple. We've come so far with their reconciliation; let's not ruin it. Lynn's enemies are like bad exes who won't leave her alone. 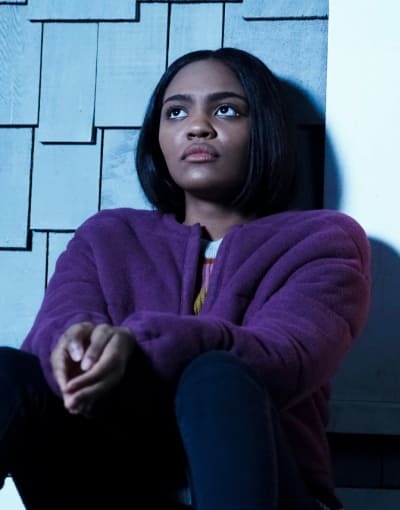 What I love about Lynn's development during Black Lightning Season 2 is the irony that her two biggest enemies are now the people she needs to trust. Lynn's life is on the line between two groups who either want her dead or her expertise in metahuman knowledge. Between the Markovians and Tobias, her odds of avoiding trouble are pretty slim. And that's not even including Dr. Jace and Agent Odell betraying her again. She has to play her cards right, or she might end up in the crossfires again. Tobias is gearing up to take Dr. Jace; it's more advantageous for her to work with her frenemy than let her be taken. But, will Lynn heed their warnings? That's the big question. The opening shootout hooked us right from the start. The twist pulled us in and kept us on our toes. 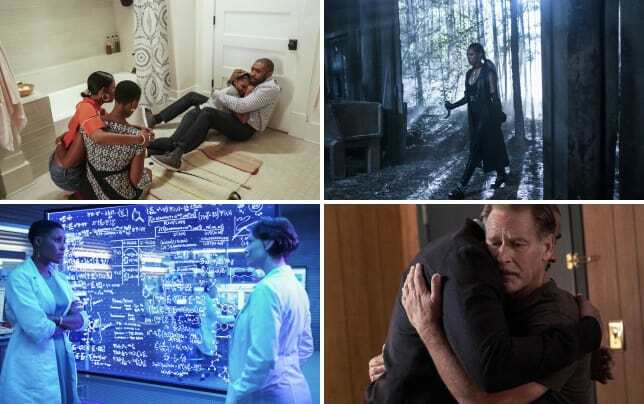 Black Lightning should incorporate more of these surprises in the future. Perenna using her mind powers to freeze the Malkovians goes on the list of boss moments for her. She is a queen ... and she knows it. Finding out Principal Lowry's past didn't change my opinion of him. He had a tough upbringing, but your past shouldn't determine the decisions you make. We all have the ability to make choices that do good; he chose to show little compassion and compromise. He needs to go. Dr. Jace and Odell's new alliance: terrifying or secretly terrific? Do the scenes of Todd and Tobias feel almost like filler? They're peppered in there like bread crumbs, but Black Lightning doesn't treat it like a serious focus. Hopefully, these pod villains are powerful enemies that leave their marks. Between Anissa's fight with the gang and Jefferson's fight with the Malkovians, both were equally captivating for different reasons. Jefferson had the cool visual effects of his electricity while Anissa had the interesting fight choreography. What did you think of "Just and Unjust"? 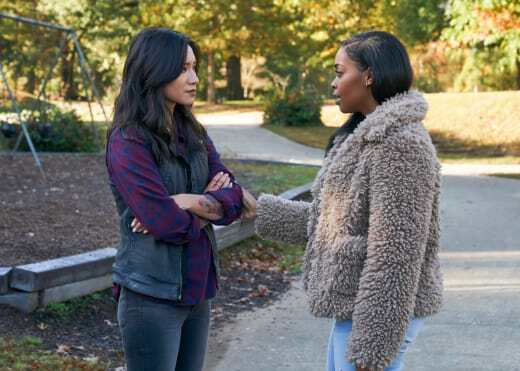 Will Anissa ever discover Grace's secret? What does agent Odell have in mind for Jennifer? Will Dr. Jace transport the pod kids before Tobias and Todd come for the not-so-good doctor?